Hey everyone ! 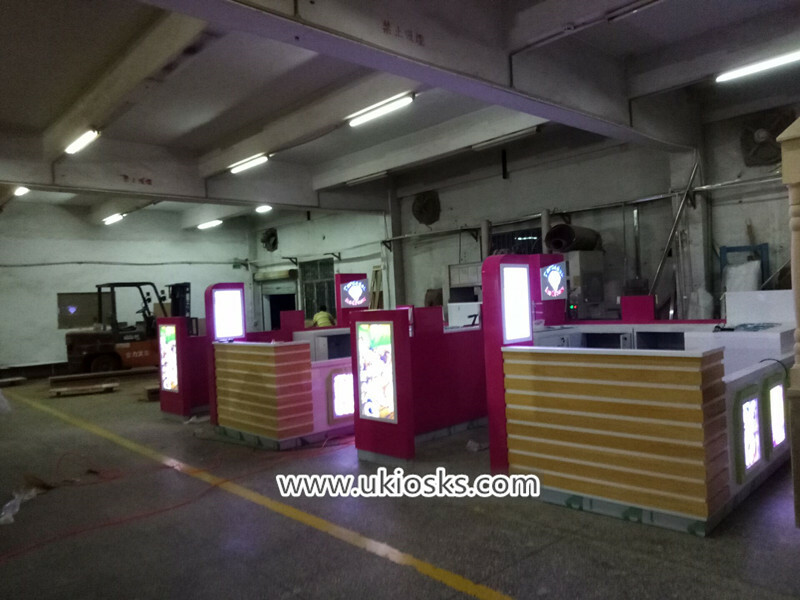 Today we finished two Units of the same ice cream roll kiosk , already arrange and shippment it to Miami port in United States , it’s very beautiful kiosk and i can’t waiting to share them to you meet . Item : ice cream roll kiosk . Material : plywood, laminate . 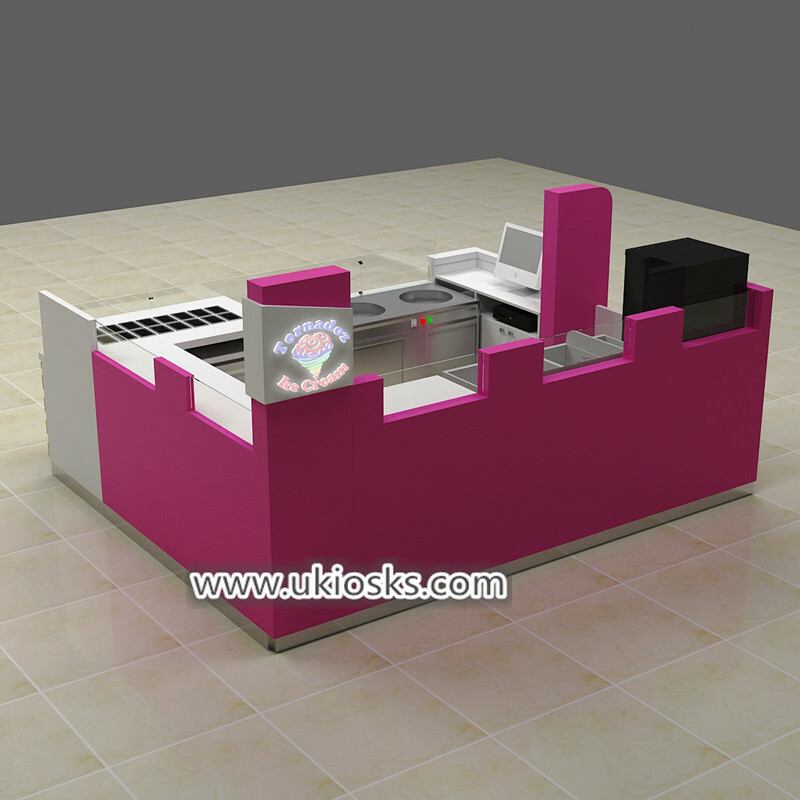 Design : 3d max and CAD drawings . Package : foam inside + wooden box outside . 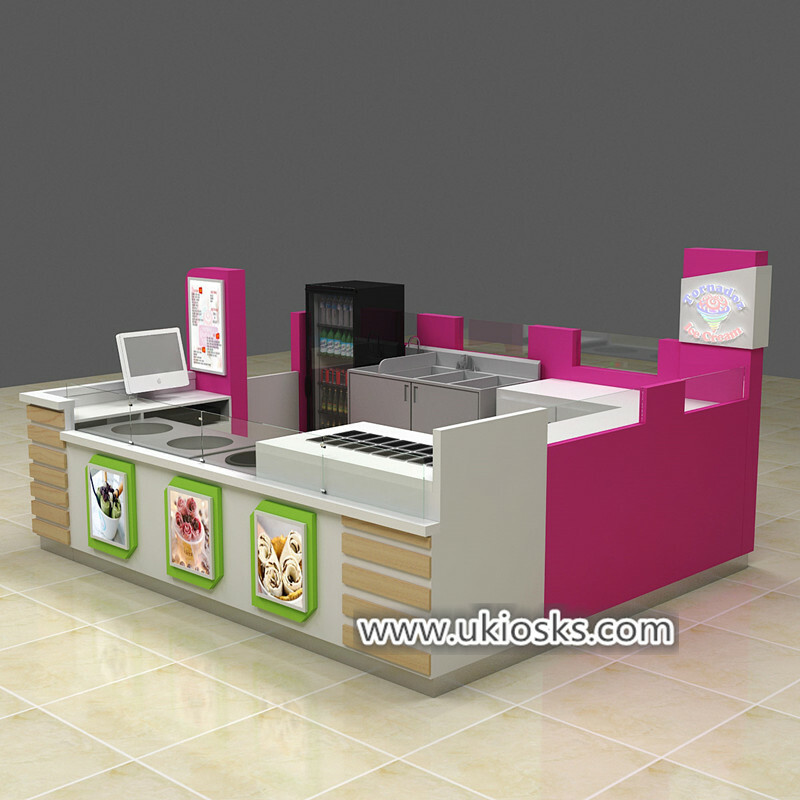 For this food shop can for selling ice cream roll , yogurt , smoothie , drinks etc . 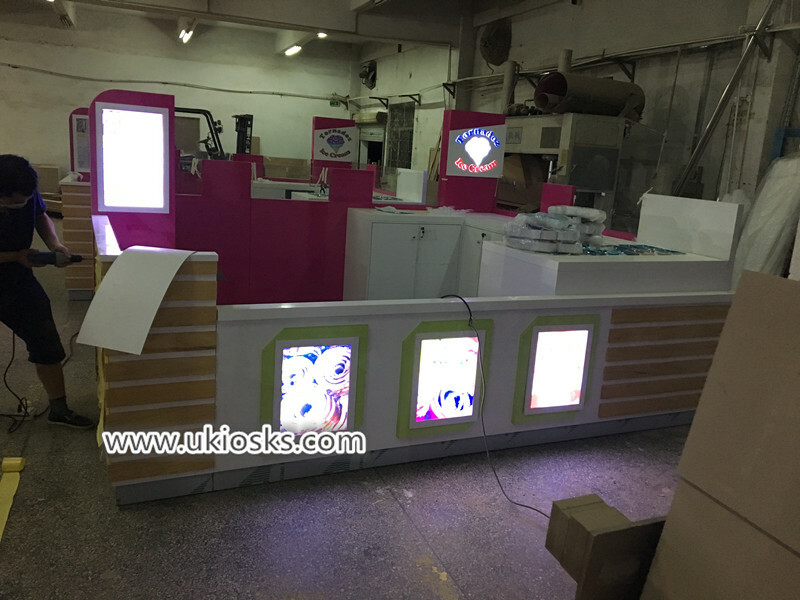 size is 10X12ft , mainly material is Plywood, surface is white and purple color laminate , also with some solid wood strip decoration , looks very nice and high end . 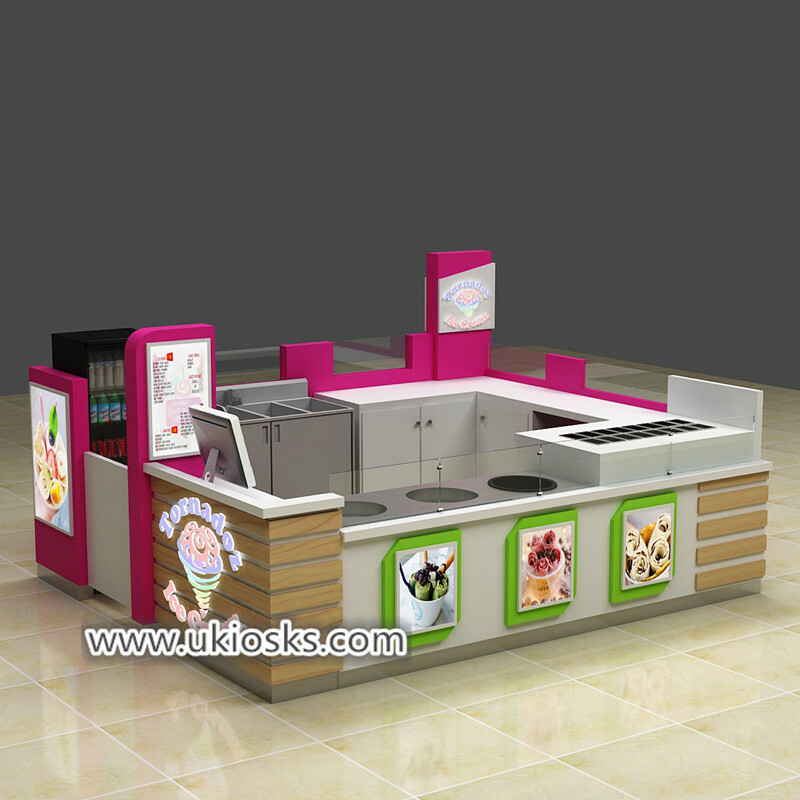 As you see the front of this kiosk with stainless steel topping and ice cream roll machine , Next to it is a small cash register. 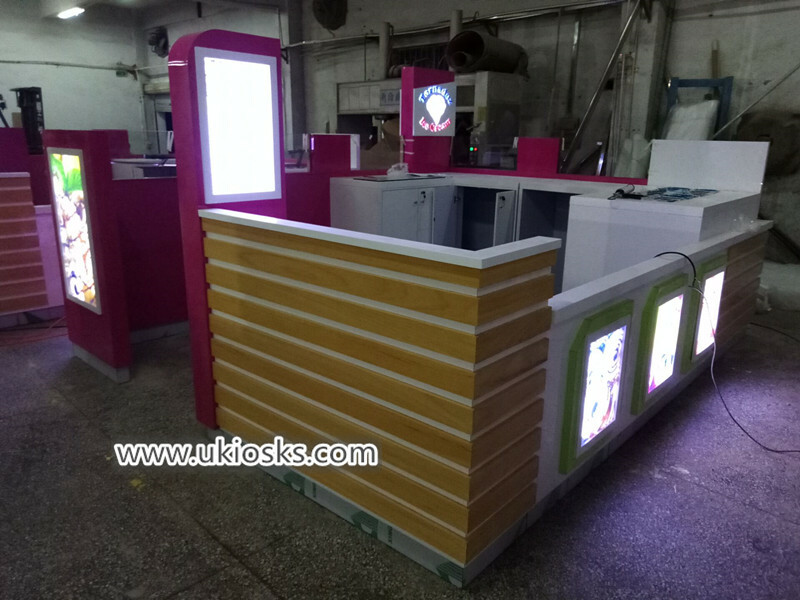 maybe you also notice the front counter surface with three light box with ice cream roll photos , clients can see it very easy and clear . 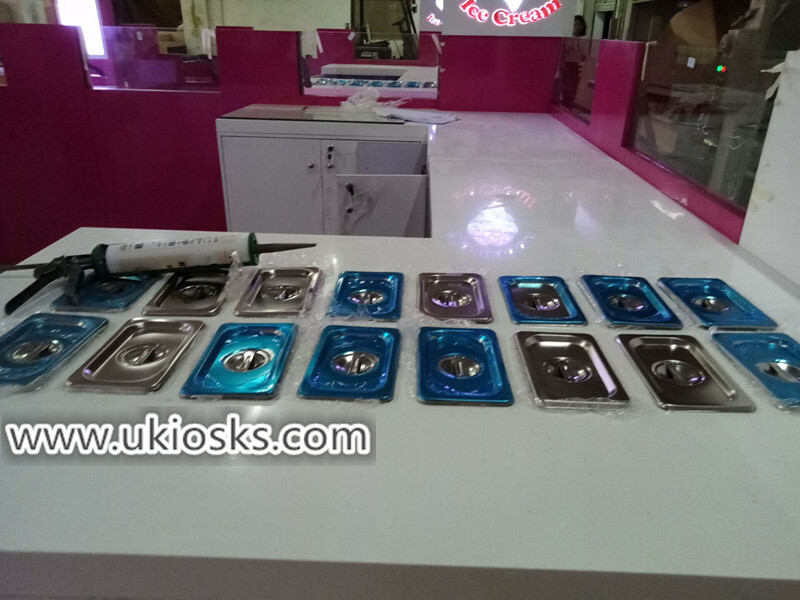 did you find whole shop with three pcs acrylic logo with light , looks very attractive . The back sides is wooden counter with white man made stone worktop, is good for use and clean, next is a stainless steel sink and drinks fridge showcase . whole layout is very good and simple . thanks for your time and reading , if you need more further info , pls feel free to contact us , thank you !